I’m cheating today by sharing this lovely photo instead of writing a post. This is our backyard, after last night’s snow, the first real fall of the year. Isn’t it lovely? 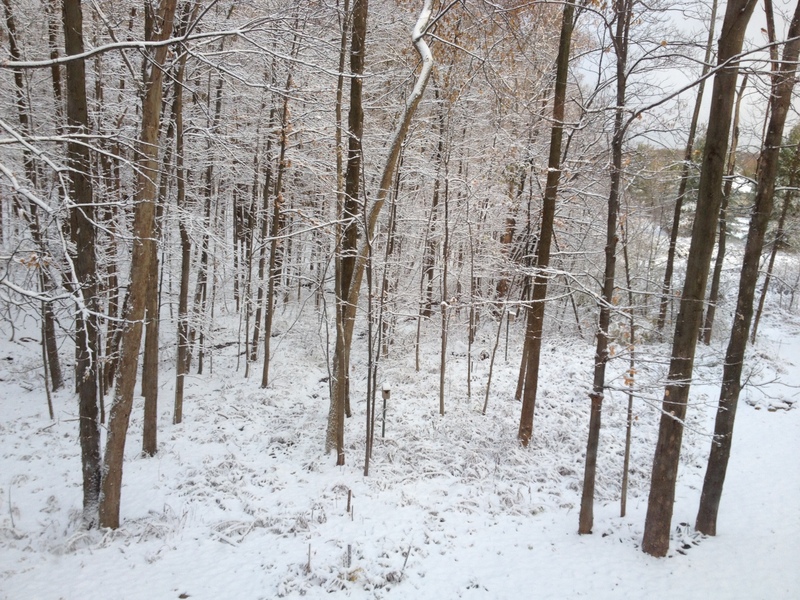 This entry was posted in Rave and tagged First snow, snowfall in Ohio. Bookmark the permalink.